Got Meatloaf coming out your ears, and the kids moaning, “Not meatloaf again!” Family members rave how good it is just as Stewart Little’s dad does in the movie, yet meatloaf lurks in the garbage disposal. Here are some ideas that may get your crew looking forward to leftovers. Cover the slice of meatloaf with cheese. I used Wisconsin Sharp Cheddar. 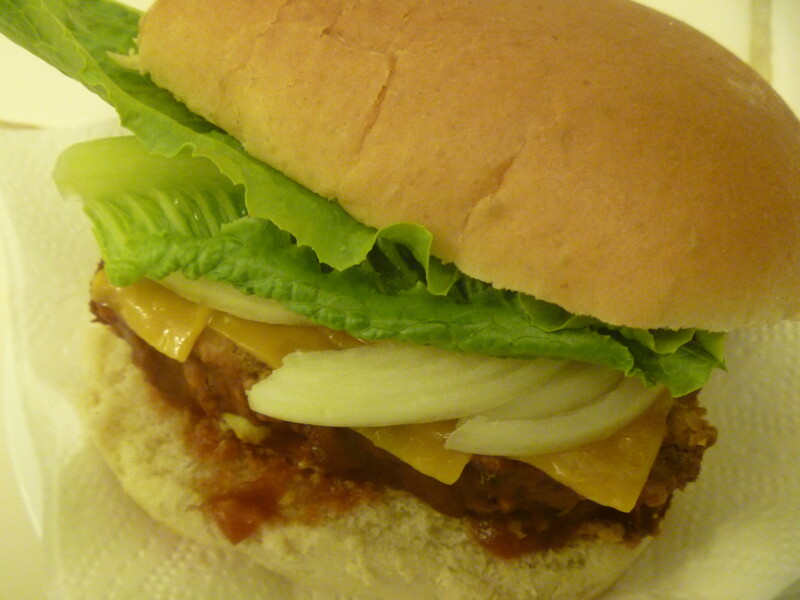 On the bottom half of the bun, put on whatever sauces you'd like to spice up your burger. I have ketchup and spicy mustard on mine. Last add your favorite toppings, perhaps, lettuce, tomatoes, and onions--whatever you'd like, I only had lettuce and onions--and put on the lid. Mine dissapeared pretty quickly after this step. Get a jar of your favorite spaghetti sauce. Chop up a few pieces of meatloaf into pieces of about ½ inch by ½ inch. Put the chopped up meatloaf and spaghetti sauce into a medium saucepan and heat. Simmer for a few minutes, and it is ready to be served over cooked spaghetti noodles. You could use the spaghetti sauce with meatloaf from above as a substitute for the meat sauce in your favorite lasagna recipe. Layer meatloaf sauce, cooked lasagna noodles, ricotta cheese, mozzarella cheese, Parmesan cheese and any other ingredients in the recipe. Heat in the oven at 350 degrees Fahrenheit for about 45 minutes or until thoroughly heated. 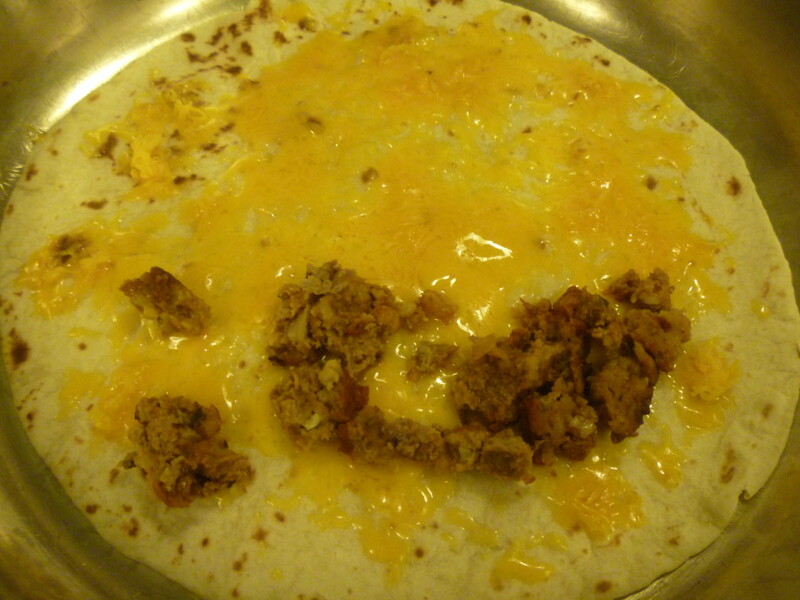 How about a meatloaf quesadilla? 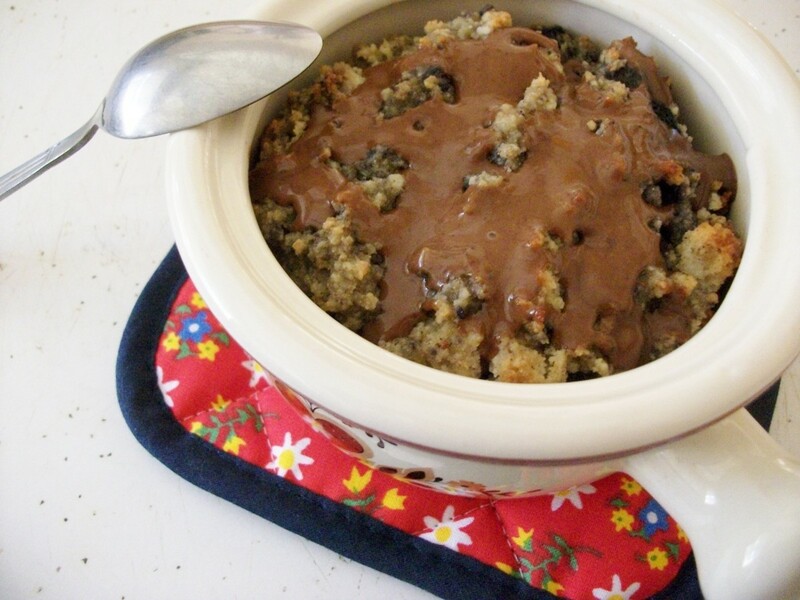 Heat the crumbled meatloaf in a microwave oven for 20 to 30 seconds and set aside. When the tortilla is soft and warm, turn down the heat to low. 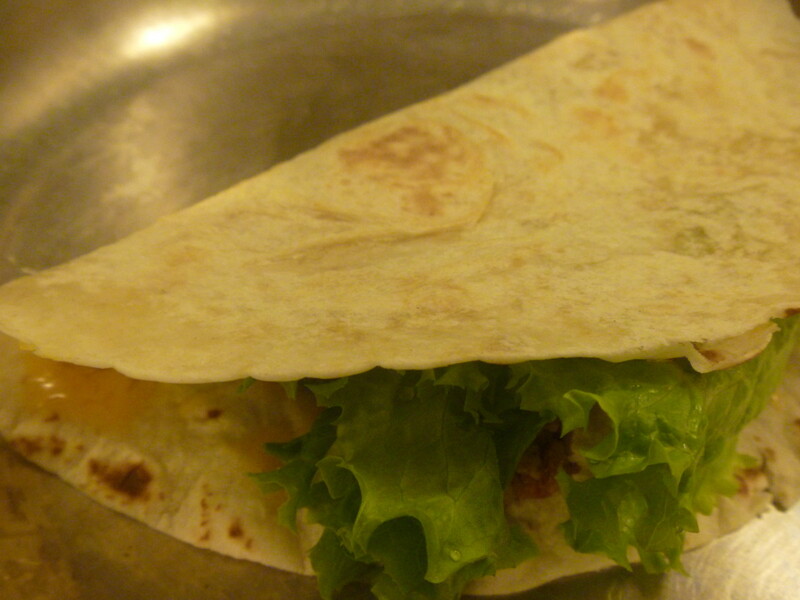 fold over tortilla using the spatula. 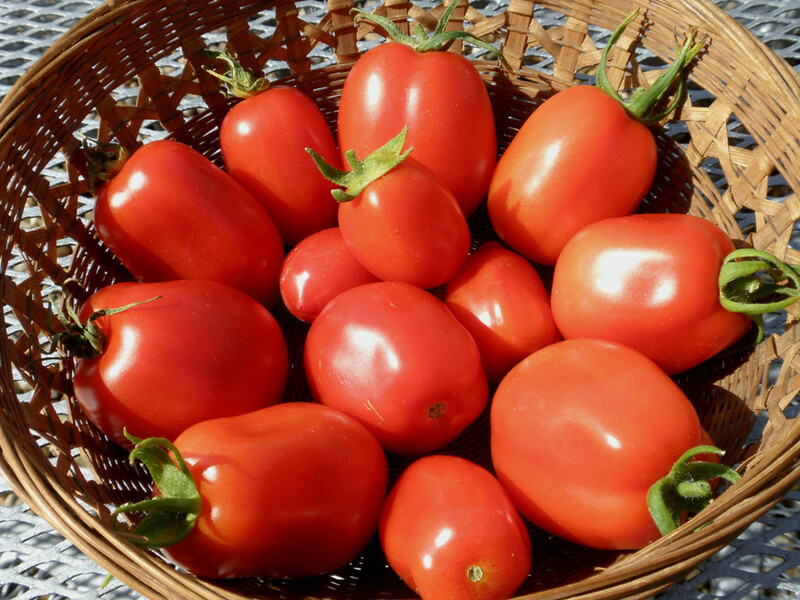 Serve topped with salsa and sour cream or plain is good too. 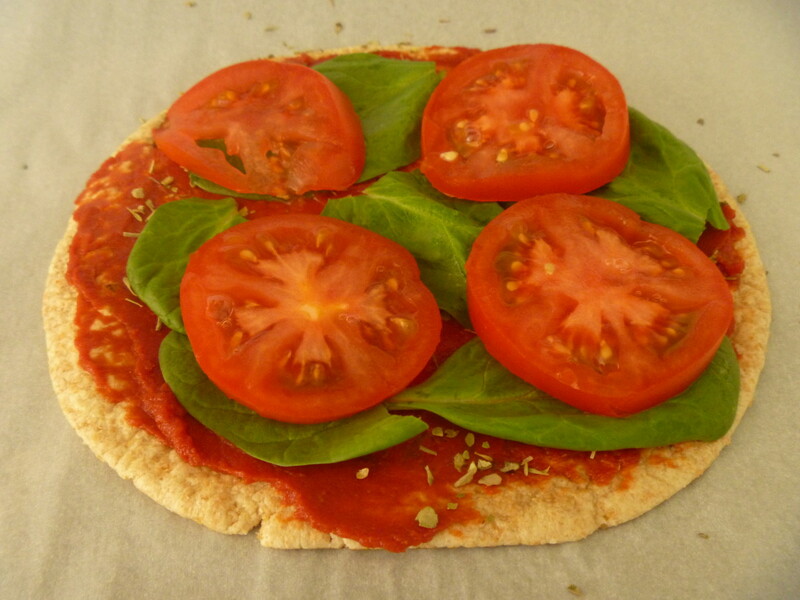 Here's a pizza that can be put together in 5 minutes. Let it cook for 10 minutes on 400 degrees, let it cool, and it's ready in a little over 15 minutes. 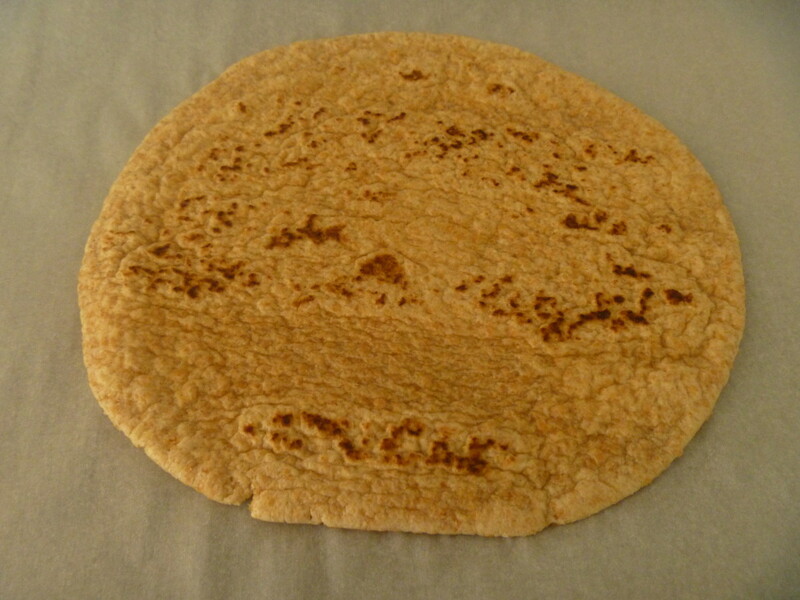 One six inch flat-bread placed on parchment paper on a cookie sheet. About a teaspoon of tomato paste. Italian. Sprinkle it over the tomato paste. 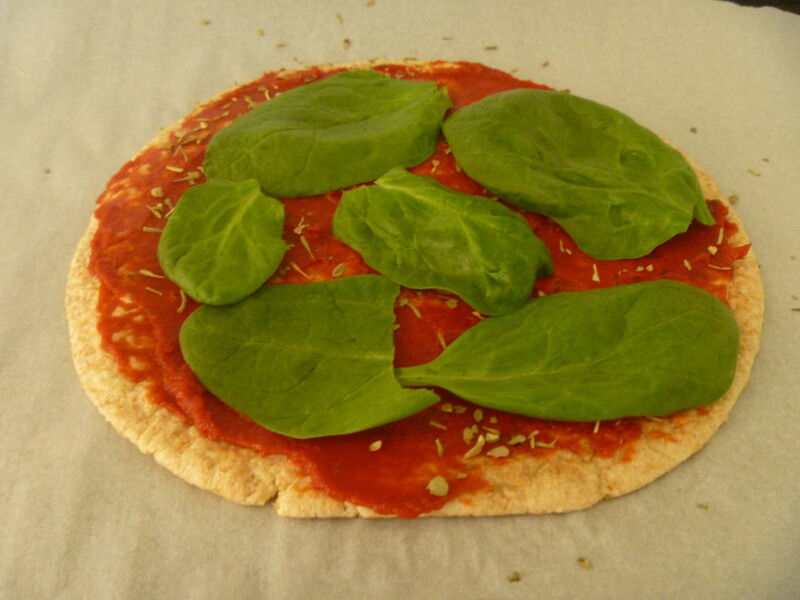 Wash a few leaves of baby spinach, pat it dry and spread it around the pizza. 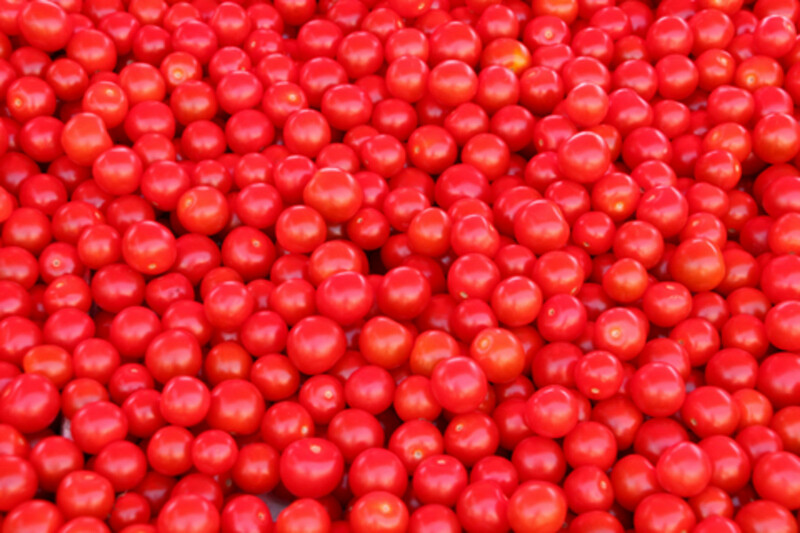 One, small, fresh tomato, sliced. Meatloaf. 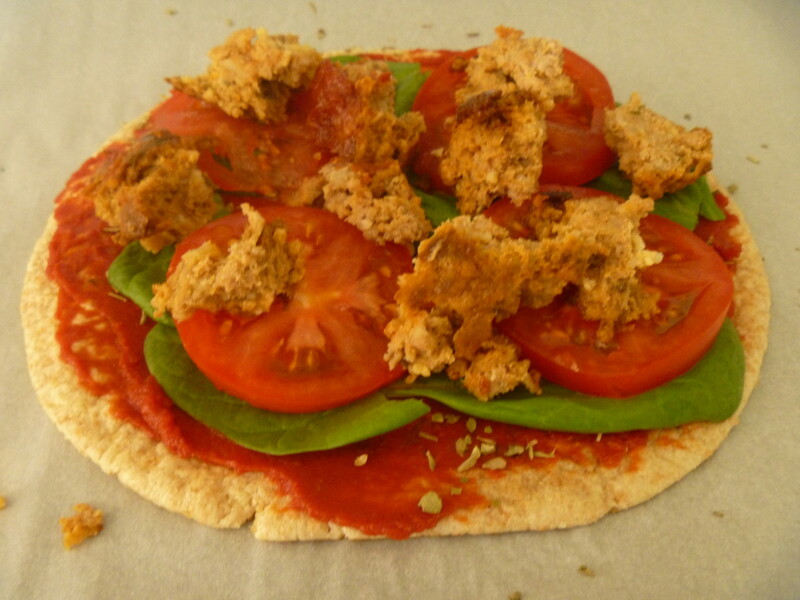 Crumble one small slice and spread it over the top of the pizza. Feta. Sprinkle small pieces across the top. Bake in a 400 degree oven for about 10 minutes. Let cool and enjoy. Instead of making a sauce with the meatloaf, make a pie. In a pie pan, or loaf pan, coated with cooking oil to prevent sticking, layer two kinds of vegetables, chopped up meatloaf about the size of the pieces put into the spaghetti sauce except this is just plain meatloaf. Top with mashed potatoes. Cook at 350 degrees Fahrenheit for about 45 minutes or until heated through. Any vegetables can be used. Frozen peas and carrots are easy or fresh zucchini and tomatoes could be used too. Any combination your family would like. Adding just a few drops of water before putting in the vegetables, no more than an ounce, can keep the shepherds pie from drying out. 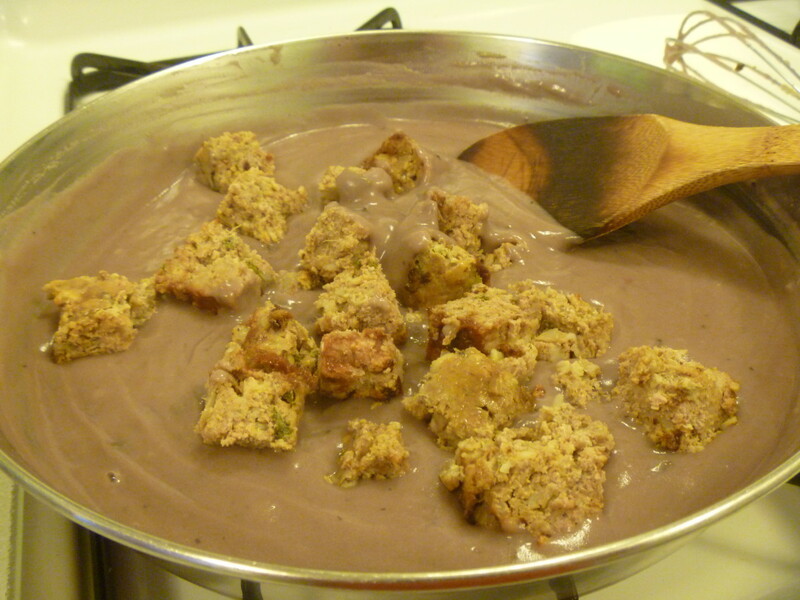 Put some of the meatloaf in a frying pan and chop it into little pieces with a wooden spoon or spatula. 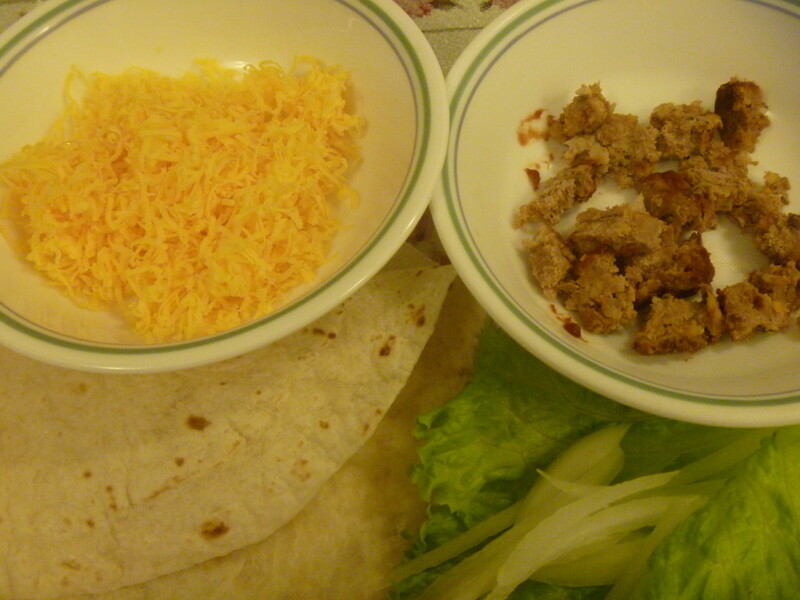 Using your favorite packet of taco seasoning, follow the instructions starting after browning the ground-beef. If you don't have a pound of meatloaf or the recommended amount of meat on the package, only put the percent of seasoning that you have meat. The taco seasonings I use usually says after the meat is browned, to sprinkle the seasoning packet over the meat and add a small amount of water, and then simmer for about five minutes. Taco shells, meatloaf taco meat, shredded cheese, chopped lettuce, and whatever other toppings you'd like, and tacos are ready. Meatloaf finished. Coat a pie pan with butter and then crumble meatloaf over the bottom. Over the meatloaf, layer your choice of vegetables, perhaps tomatoes and broccoli. Cover with buttered foil. That is spread a little butter on the foil before using it to cover the meatloaf and veggies, so food doesn't stick to it. When I butter my pans and foil, I like to cut a nice thick slab of butter and use a paper towel to evenly spread it around. 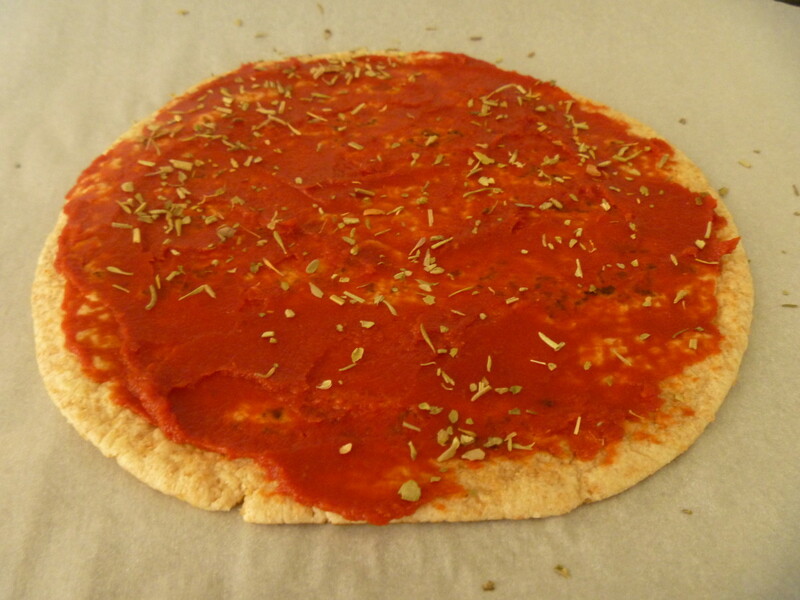 Bake in a 350 degree oven for about thirty minutes or until thoroughly heated. 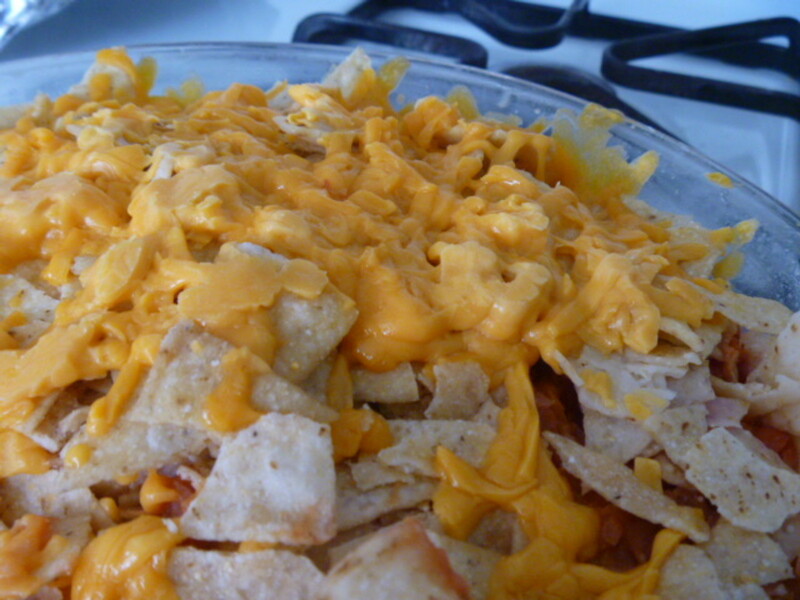 Then sprinkle crushed tortilla chips and grated cheddar cheese over the top. 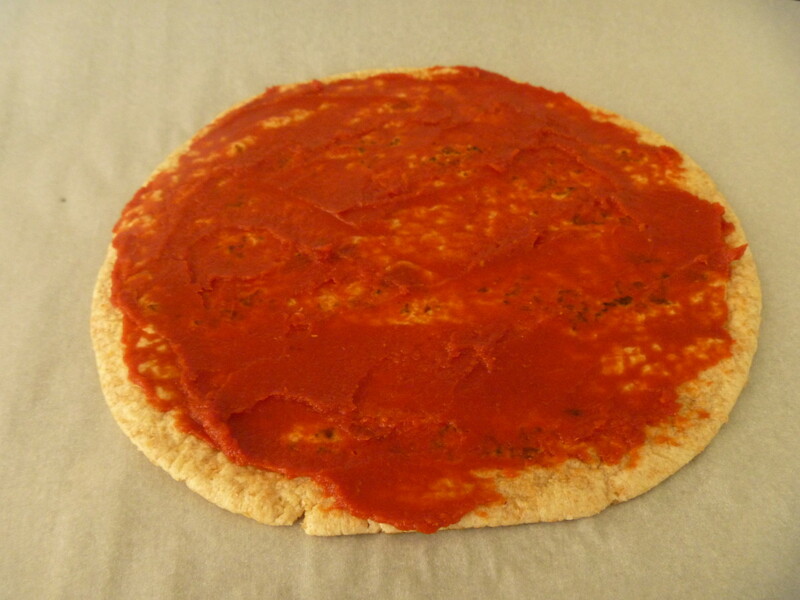 Return to the oven without the foil cover for three to five minutes until the cheese is melted. Remove from oven, let cool for five minutes and enjoy. This is also a good way to use up an open bag of tortilla chips that aren't as crisp as they first were but still fine to eat. This is a rich sauce that probably will appeal more to adults than children. For me, it's a little rich, but because I like it, I have it for a treat. An easier lower fat version follows these steps. In a medium frying pan, over low heat, melt one tablespoon of butter. 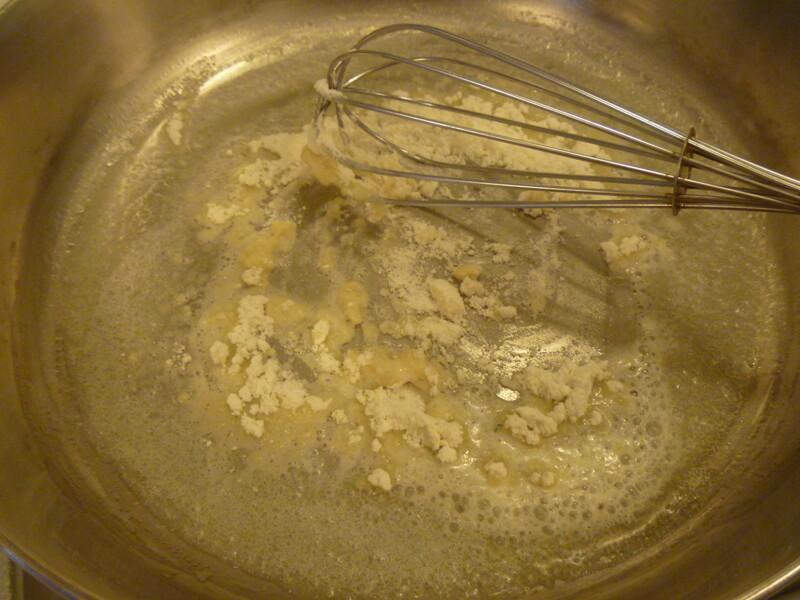 Slowly sprinkle in a tablespoon of flour and stir with a whisk. Add condensed mushroom soup--I used an 11 ounce box of Portabella mushroom soup from Trader Joes, but any canned condensed mushroom soup is good. Add red wine a little at a time--I used 1/2 cup, but you could use only 1/4 cup if you'd like. 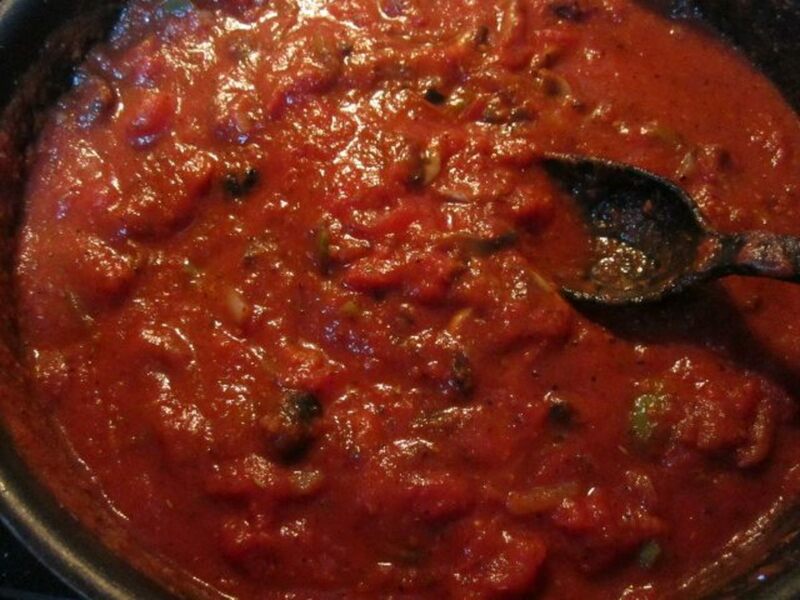 Keep whisking for a smooth sauce. 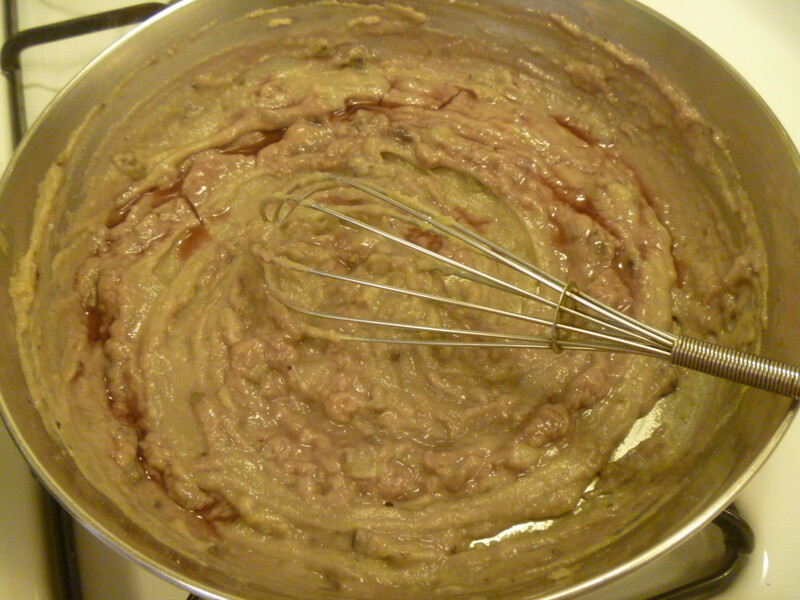 Add Water a little at a time, use 1/4 cup if you added 1/2 cup of wine, use 1/2 cup if you added 1/4 cup wine. Add meatloaf cubes--I cut two thick slices of meatloaf into bite sized cubes. Simmer over low heat for 15 minutes stirring often. Turn off heat and stir in a dollop of sour cream. 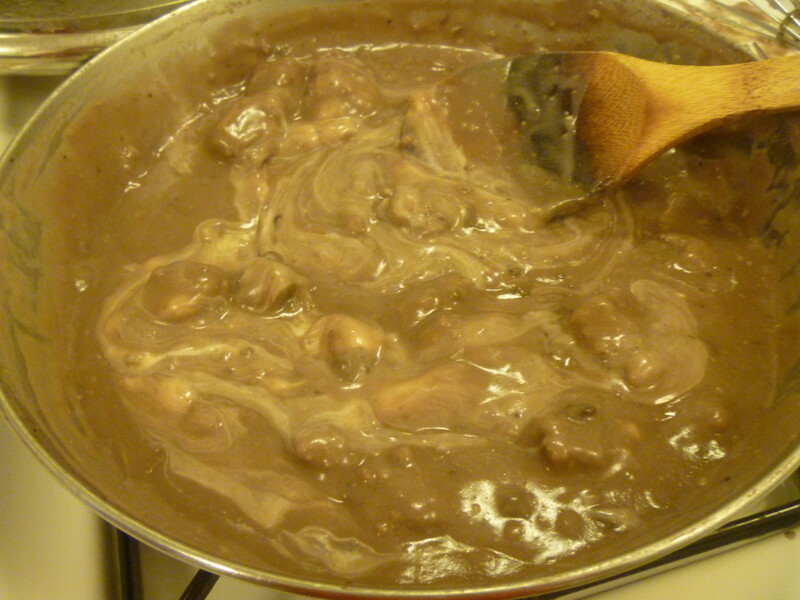 In a medium frying pan, over low heat, stir in one 14 ounce can of condensed mushroom soup. 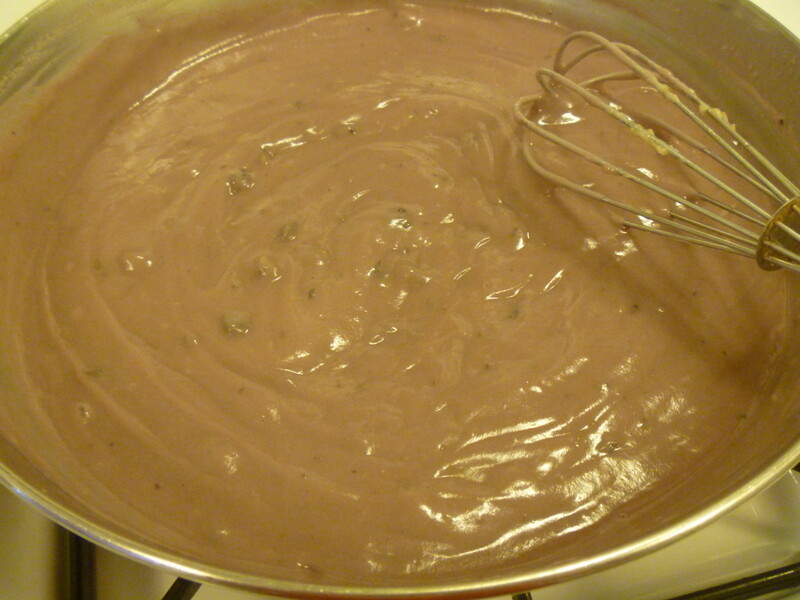 Slowly add 1/2 to 3/4 cup water or milk while stirring. Add a splash of red wine if you'd like, but you don't need to. Fold in 3 to 4 slices of bite sized meatloaf cubes. Simmer 15 minutes stirring often. Since I made the meatloaf recipe in Betty Crocker's Whole Grains Cookbook I bought at Costco sometime this past year, my family has actually eaten meatloaf. What's more, they don't mind having it the next day without variation. I originally wrote this article to use up the meatloaf my family didn't finish because they didn't like it. Finally I stopped making meatloaf altogether. 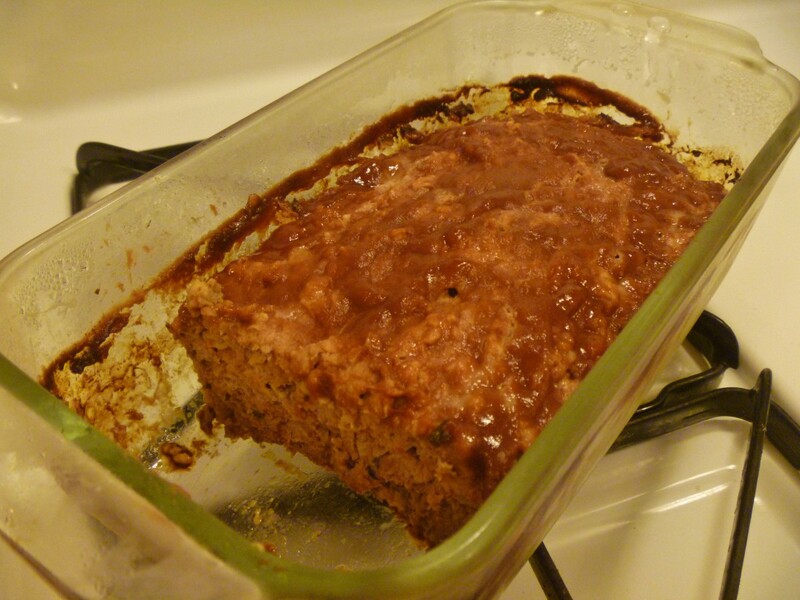 It wasn't until I was looking over this article to up date it that new ideas came flooding into my brain, and I was inspired to make a meatloaf again. I tried this new recipe because it was there. I wasn't planning on my family liking it, so I could dazzle them with my variations of making leftover meatloaf into a new meal. To my chagrin, they liked the meatloaf. The kids didn't want to try the burger on my menu for the next night (so I could get a picture) but instead wanted the unadulterated meatloaf, again. It didn't turn out to be "grief an' pain," as Burn's "To a Mouse" continues for I did convince my family to try the burgers which they loved. 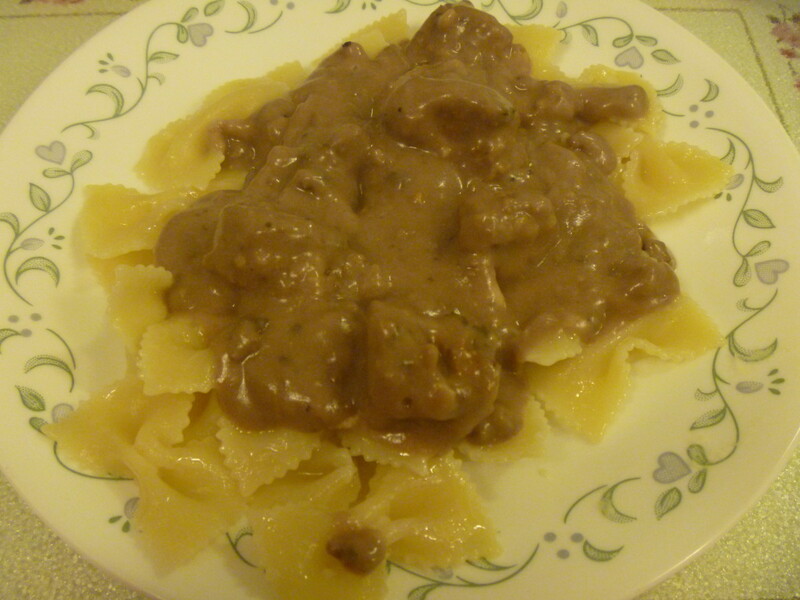 They even asked for them the next night when I had the meatloaf mushroom wine sauce planned. So I gave them the burgers while us adults had the sauce over pasta. It was a fight to keep a few crumbs of meatloaf for my quesadillas. But being the type of cook who likes to whirlwind around the kitchen one day a week churning out heaps of food to freeze or eat for the whole week, I was prepared with enough, just barely. So that's my true confessions of the progression of this article. I ran out of meatloaf before I ran out of ideas. So because I have so much fun trying new concoctions, I'll eventually be adding more. 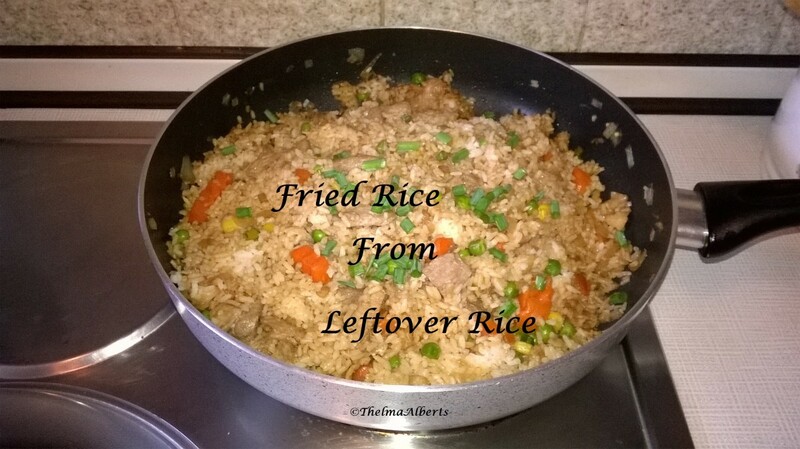 Following are a few of my concoctions still waiting for meatloaf left to fill them. Please refer to Burn's quote above if you have any question of how they will turn out. These two recipes are still in the idea stages, but I wanted to share them since this is an article of ideas. 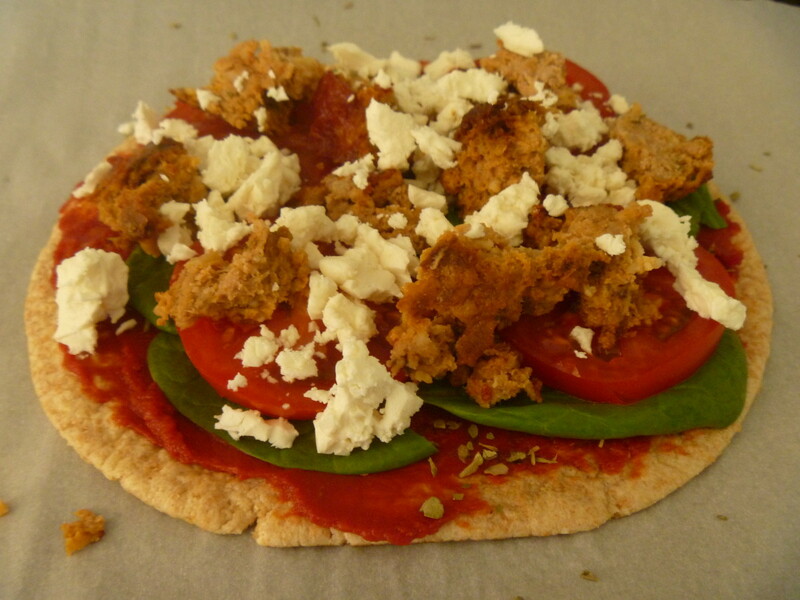 Put them all in a pita pocket with lettuce, onion, and plain Greek yogurt. Cover the meatloaf sauce with thinly sliced Swiss cheese. These are only a few ideas. I hope they inspire you to your own better creations for making leftover meatloaf irresistible. 8 years ago from Amidst a cloud of creative energy. I think the pie is best when juicy meatloaf topped with tomato sauce is used. Thanks for stopping by Traqqer! I've tried everything here except for the pie...that'll be next on my list. I like that shepherds pie. Good alternates to consider here for recycling that meatloaf. Thanks for sharing this. Not in this house. I have to hide some if I want it tomorrow! It sounds delicious to me! Thanks for another meatloaf idea Sanfayedr! 8 years ago from Wherever I am at the time. Have you eve id a cold meatloaf sandwich with lots and lots of HP sauce? Sounds awful but it tastes great.